There was a good amount of interest in the 1930s photos of New York City that were magnified and posted earlier this week, so I thought I'd share some more from that same set. 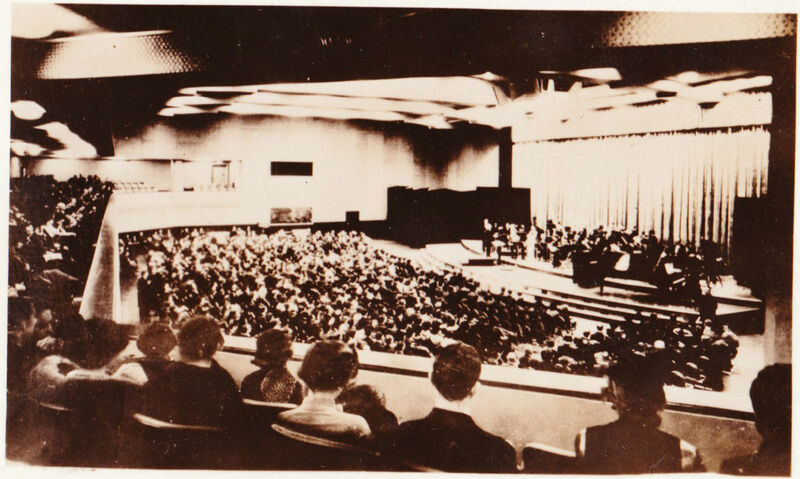 Above: The caption on the back states: "NBC Studio in the RCA Bldg. Rockefeller Center." Some background from Wikipedia: "In 1930, General Electric was compelled by antitrust charges to divest itself of RCA, which it had founded. RCA moved its corporate headquarters into the new Rockefeller Center in 1933. ... RCA was the lead tenant at 30 Rockefeller Plaza, the RCA Building (now the GE Building).1 The building housed NBC studios, as well as theaters for RCA-owned RKO Pictures." 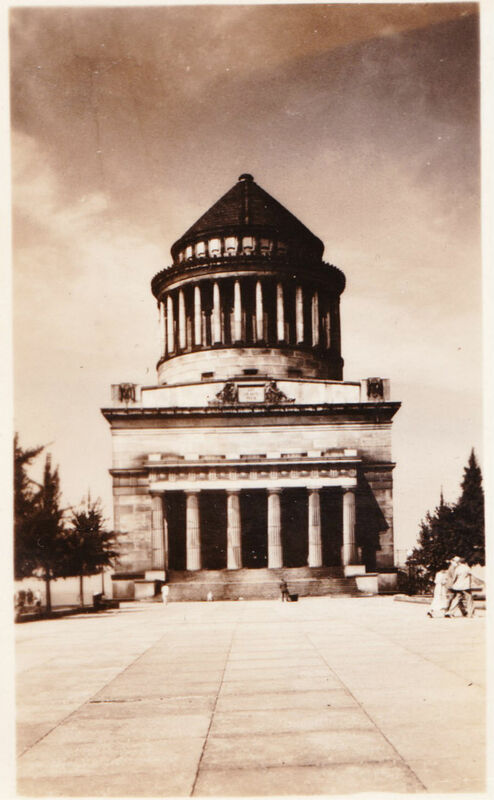 Above: Here is Grant's Tomb, located in Riverside Park overlooking the Hudson. Its design was based upon the ancient Mausoleum at Halicarnassus, one of the Seven Wonders of the Ancient World. Read more from the National Park Service, which manages the site. 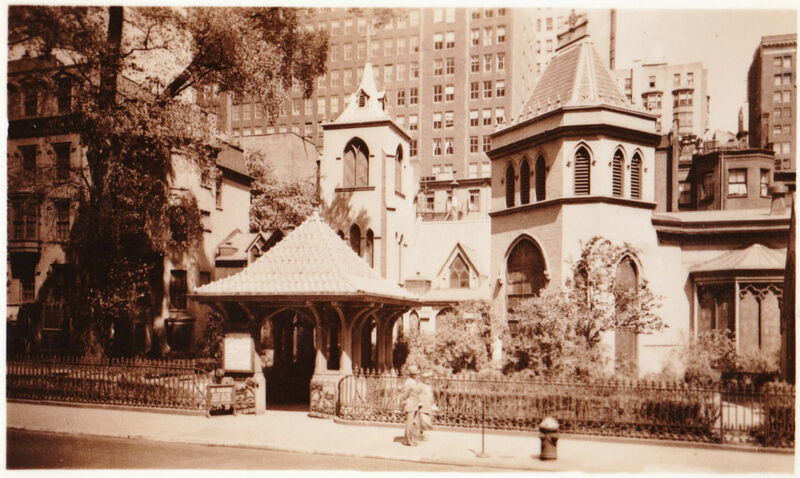 Above: Here is the photogenic Little Church Around the Corner, officially known as Church of the Transfiguration2 on East 29th Street. The Episcopalian church was constructed in 1849. Author P.J. Wodehouse3 was married there in 1914. And the church has housed the Episcopal Actors' Guild, whose officers have included Basil Rathbone, Tallulah Bankhead, Rex Harrison and Charlton Heston. 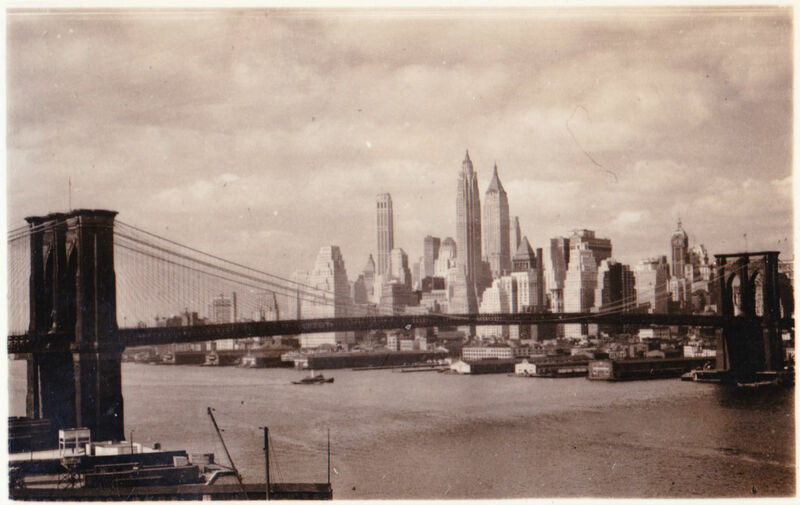 Above: Finally, here is a shot of the Brooklyn Bridge and the mid-1930s skyline of Lower Manhattan. Obviously it is much changed today, nearly 80 years later. 1. The famous and stomach-roiling Charles C. Ebbets photograph Lunch atop a Skyscraper was taken during the construction of the RCA Building. 2. Yes, it is the Church of the Transfiguration, but it goes by the catchy URL of littlechurch.org. 3. P.J. Wodehouse was mentioned in passing in this February post: 1959 receipt from The Colonial Bookstore in York, Pa.